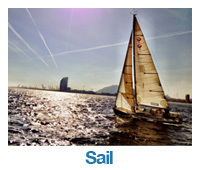 Terms and conditions | MT Sail & Power RYA courses. Payment can be made in cash, by bank transfer or with a credit or debit card. Payments made with a credit or debit card are subject to an additional 2% (subject to increase without prior notice) to cover bank charges incurred. Bank transfers must be sent in euro currency and bank charges are for the account of the student. A payment advice note will be issued upon booking. An invoice will be issued upon full payment. Any course fees you have paid, including your deposit, will be refunded in full. No liability shall be attached to MT Sail & Power beyond refunding the course fee paid for the cancelled course or unused portion if the course has been started. No payments shall be made for incidental costs. As above, we recommend you take holiday cancellation or personal travel insurance. MT Sail & Power shall not be responsible for any unused air tickets or unused portions of air tickets or unused services of any kind. If a student is likely to be delayed beyond the start time of the course,MT Sail & Power must be informed as soon as possible. It is at the discretion of the school principal if the fees paid can be transferred to a future course. If a student fails to arrive, for any reason whatsoever including illness, and MT Sail & Poweras not been notified, the course fees will be forfeit. We ask you to inform the school upon booking of any health issues that may affect your suitability for participating in a practical course. A signed medical declaration must be completed at the time of booking. If there are any changes between completing the medical declaration and starting the course, the student must inform MT Sail & Power in writing. MT Sail & Power accepts no responsibility for the decision of the physical fitness of the customer to participate in a course. If a student has any medical problems, it is their responsibility to check with their GP that it is acceptable for them to join the course. Students must ensure that any personal medication is brought to the course. No liability is accepted for student’s personal possessions left in MT Sail & Power premises; this includes on the marina and onboard vessels used . No liability is accepted for students whilst in, or on, any MT Sail & Power property or property used by MT Sail & Power or whilst embarking or disembarking any vessel used by MT Sail & Power. All students take part in any course at their own risk. The act of signing for a training course implies that the student has understood and accepted the terms and conditions of MT Sail & Power herein, including the risk disclaimer above and liability as explained in this document. Your instructor/examiner will make decisions re: heavy weather training with the safety of crew and vessel as first priority. The instructor/examiner’s decision is final. MT Sail & Power shall not be liable for any expenses incurred due to Force Majeure, including Act of God, weather conditions, strikes, and acts of Government, war or any other occurrence beyond our control. During practical training for sail and motor courses, basic provisions are provided for meals during training hours onboard. Meals and drinks onshore are not included. During powerboat courses, access to shore will be provided or students are advised to bring a packed lunch. Lunch is not included during shorebased courses. 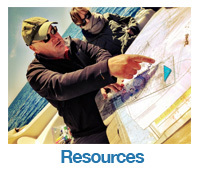 Provisioning is not included during private courses or own boat tuition. MT Sail & Power shall not be liable for any accidents that occur whilst a student is under the influence of alcohol. The consumption of alcohol is not permitted whilst underway. Smoking is not permitted in any interior space on board any training vessel or in any building used by MT Sail & Power. Please respect the school rule that no cigarette butts be thrown into the sea. MT Sail & Power is located in a non-smoking building and students are requested to dispose of any cigarette butts in a responsible manner. Recreational drugs of any kind are strictly forbidden onboard any training vessel or in any property used by MT Sail & Power. If found, or suspected, the customer will immediately leave the course and no monies will be refunded, nor any additional travel expenses reimbursed. MT Sail & Power uses training vessels that are well maintained, however, if breakages or mechanical failures occur we ask for your patience and understanding that this can be part of boating. Every effort will be made to ensure the vessel is repaired at the earliest opportunity. If this is not possible, an alternative vessel will be made available. MT Sail & Power shall not be held responsible for any time the customer feels has been lost, whilst every attempt is made to address any problems that may occur. The owner is considered to be the ‘skipper’ of the vessel at all times and is responsible for the vessel, the provisioning and fuel and for ensuring the vessel is fully insured, sea worthy, with all boat papers in date and safety equipment onboard to satisfy the local port authority and maritime law of the country in which the training is taking place. If any accidents occur onboard during training the claim is to be made against the insurance of the boat.MT Sail & Power , and its instructors, shall not be liable for any incidents or accidents onboard. The owner should notify their insurance company that there will be a qualified instructor onboard delivering tuition but the owner remains the skipper at all times. It is also agreed that the owners insurance is fully comprehensive and covers all aspects of normal marine insurance for the area in which the skipper is expected to sail. Upon booking, the school will request copies of the vessel’s insurance papers and vessel registration documents. The client will be asked to sign a disclaimer before the training can commence. Notice of any complaint should be made to your instructor/examiner at the time of the complaint arising. If the complaint cannot be resolved onboard, then the complaint should be made in writing to the principal of MT Sail & Power and will be dealt with as a matter of importance. The instructor/examiner’s decision is final. All students will accept all orders and decisions given by the instructor/examiner whilst onboard or onshore during any training provided by MT Sail & Power The instructor/examiner’s authority is total, day and night, in accordance with Maritime Law. If for any reason a student does not accept an order from the instructor/examiner, or a designated substitute, the student shall be considered to be in breach of the terms and conditions of MT Sail & Power. If the student is placed ashore at the nearest port, no liability whatsoever shall attach itself to Aigua Sea School and neither shall the student have any redress for any expenses, nor any redress against the instructor/examiner as a result of any action or decision by the instructor/examiner. The International Certificate of Competence (ICC) is available to British subjects, bona fide British residents or persons born outside the UNECE. MT Sail & Power can provide full eligibility details on request. If an examination has to be cancelled or postponed for whatever reason, the candidate may ask to be reimbursed the examination fee or to be offered a future examination date. If the examination has to be cancelled due to adverse weather, the student contribution towards examiner’s expenses is forfeit according to the costs already paid for travel expenses. Examiner travel expenses for the re-arranged examination date must be shared between the exam candidates. Certificates will only be issued at the end of a course if, in the opinion of the instructor/examiner, the student has reached the standard required. The decision is final and to be accepted by all students. Many certificates are issued in the UK by an external authority; please allow time for receipt, processing and return delivery. As a general rule all certificates are returned to MT Sail & Power unless the student has expressly requested otherwise. The school provides a mail/courier forwarding service and will advise the relevant cost to the student. MT Sail & Power will not be held responsible for any delays in receipt, nor any loss if delivery has been requested to an address other than that of the school. Lost certificates will incur a re-issue charge to cover costs of replacement, administration and postage. If a student has been invited to use a school boat for accommodation during training with MT Sail & Power, rules apply to the arrangement. 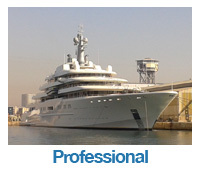 The accommodation offered is based on the understanding that the vessel be kept clean, tidy and secure at all times. Gas must be turned off at the main gas supply when not in use. It is strictly forbidden to move the boat. It is not permitted for any other person to be onboard unless permission is gained in advance from the school principal. The student is required to act with duty of care towards the vessel and any school property. Full rules are available on request. One day specialist courses (Elementary First Aid, Basic Sea Survival, Diesel Engine, Radar) start at 09:30hrs and will close by 17:30hrs. The VHF/DSC marine radio training to achieve the Short Range Certificate (SRC) is a 10-hour training programme with separate assessment time. The two day Powerboat training course will start at 09:00hrs at the training base and will close before 17:30hrs each day. Shorebased navigation courses start at 09:30hrs and will close by 17:30hrs. Practical courses will start at 09:30hrs on the first day; closing times are variable during the practical training courses. The instructors will keep their crew fully informed and the times given in this section are only as a guide. Whilst the school carries full public liability insurance you should satisfy yourself that you are covered for personal injury and cancellation. 30. Photographs used in promotional material: You agree that any photographs taken during training, that may feature you, can be used by Aigua Sea School for promotional purposes. Photographs will never be taken of minors. Any dispute should be brought to the attention of the skipper/instructor and principal at the earliest opportunity to be resolved. In the event of a dispute not being settled by mutual agreement, it is agreed that this agreement (contract) shall be governed by the laws of uk and the parties submit to the non-exclusive jurisdiction of the courts of Northern Ireland. It is further agreed that all agreements between customers, clients and students and staff of MT Sail & power shall be governed by UK Law, even when the dispute occurs outside British territorial waters. MT Sail & Power is a recognised training centre of the Royal Yachting Association and is subject to regular inspections to ensure quality of training. If you have any issues with the training provided, we ask that you first inform the school principal. A formal procedure is available to deal with complaints and grievances.